Really super pictures, right? 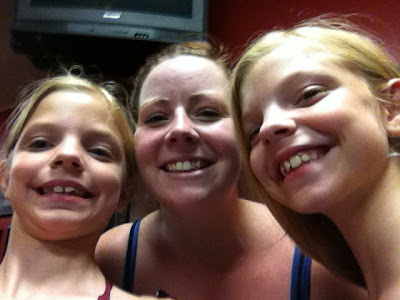 :) I had PTO Thursday night at my school so Chris and Quinn had to take the girls to dance class. Without me. The first one of the year. It made me kinda sad to miss it. This year they are taking class at the Hamilton Mill Studio (whew! yet another drive to make!) because with all of the changes in our lives, I wanted somethings for the girls to stay consistent. Miss Bethany is that consistency. Can I tell you how much the girls (Casey especially) adore her? A.Dore.Her. I am really excited about this year. Chan has decided to go back to dance after taking a few years off. She's in ballet and jazz. And Casey has moved up another level for her ballet and tap. I can't wait to see what this year holds for them.